Simply find the software you searched for - more than 190 program developed by us. Do you want to play something other than Solitaire? 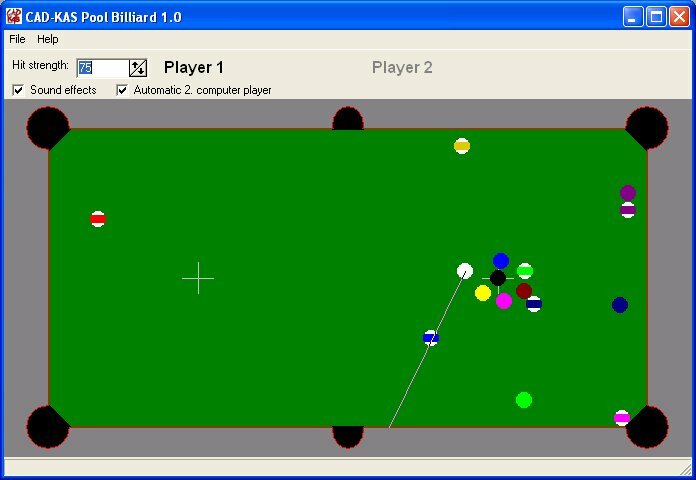 If you search a new little game then you should take a look at this billiard simulation. You can choose whether to play against the computer or against another person. To win you have to put all you 7 balls into the holes and then you have to put the black ball into the right hole. This sound simpler than it is. Try it and have fun! Pool Billiard got the "Softempire King" title by the SoftEmpire.com team. Does the software run under MAC OS and Linux?